An expanding portfolio of high-value service offerings, scaled to meet all your demands. Iridium Certus will accommodate a full range of services – push-to-talk, streaming data, data broadcast, and safety services – all built on a single platform. Whether your application is large or small, high-speed or low-speed, Iridium Certus will deliver the right service to meet your business needs. Innovative, lightweight solutions for Iridium Certus, leveraging the added speed and power of Iridium NEXT will make it easy to connect on the move. Iridium’s Low Earth Orbit constellation allows for low-power, smaller form-factor devices with unprecedented levels of mobility and capability – anywhere you operate. The unique overlapping architecture of Iridium NEXT will provide availability, redundancy, and a reach that no others can match. Iridium is depended upon for critical communications across the globe, meeting the rigorous security requirements of governments, safety standards of the aviation industry, and coverage of far-reaching maritime operations. Iridium Certus will provide peace of mind that your operational needs will always be met. With exceptional availability and fully scalable high-performance solutions, Iridium’s reliable global network ensures mission and business critical capabilities are supported. Iridium Certus is designed to support a full range of versatile applications for any market, and any need on the ground, in the air and at sea – all built on a single platform. 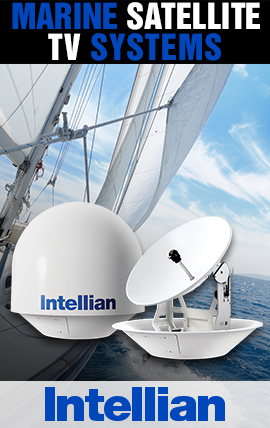 With highly robust equipment, extreme reliability, and the highest L-Band throughput to any seas, Iridium Certus is ideal for maritime operational and safety services. It will deliver the satellite communications technology that the industry demands, combining all of the benefits of L-Band with VSAT and truly global coverage including the extreme polar regions of the planet. Iridium Certus will provide a new platform for innovative and powerful Iridium M2M solutions. 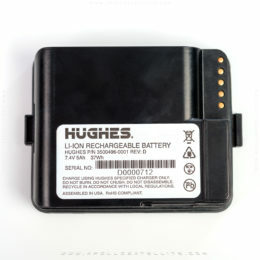 Higher speeds, small form factor transceivers and increased bandwidth – along with continued support for existing data services – will unlock new possibilities in asset tracking, fleet management, remote monitoring, command and control, and other intelligent data applications around the globe. Iridium Certus sets the new standard for remote connectivity for enterprises, governments, and individuals that want to extend their use of mobile networks into remote areas, without having to deploy ground-based infrastructure or expensive terminals. Iridium Certus integrates with Internet, cellular, Land Mobile Radio, and location-based applications to keep you connected anywhere on the planet. Iridium Certus will deliver secure, reliable, and man-packable global expeditionary communications supporting all aspects of air, land, and sea operations. It will be the ideal solution for Enroute Mission Command and Control (EMC2) and other broadband applications where beyond line of site communications are critical to mission success. Military users rely on Iridium’s network to keep assets in the field connected every day. From cabin to cockpit and runway to flight ceiling, Iridium Certus will deliver operational efficiencies, critical safety services, in-flight communications and an undeniable business advantage – enabling the safe, timely and efficient passage of aircraft to their destination. With highly reliable coverage and low total solution costs, it will be perfectly suited to meet the needs of the global aviation community.